Removing wall anchors the quick and easy way. I understand the frustration you feel when you want remove something hanging on the wall (book shelf, picture, towel rack, etc.) only to find out that a wall anchor needs removed too. And, as you probably know, trying to remove that little wall anchor by pulling it out usually leaves a really big hole! Now your small do-it-yourself project has turned into a large hole patching project too. You see, most wall anchors are plastic and have barbs that hold them in place. These work quite well but tend to leave big holes in the wall if you try to pull them out. Well, I have a great little tip for you that will help you easily remove that wall anchor while minimizing the hole to patch. Our goal is to cut the face of the anchor off and then push the remaining part of the anchor through the wall. Take a new utility blade and place it flat against the wall just above the anchor face. * BE CAREFUL. Using a utility blade like this can lead to injury. I recommend wearing gloves. Next, slide the blade slowly and carefully behind the face of the anchor. Alternate downward pressure, left to right, on the blade, slowly cutting the anchor face off. Once the anchor face has been cut off, gently push the remaining part of the anchor (that is left inside the hole) into the wall. A small Phillips head screwdriver works well. Now you have just have a small hole to patch. DIY Tip: The trick to effectively patching holes in drywall is to make sure the patching plaster is dry before sanding. 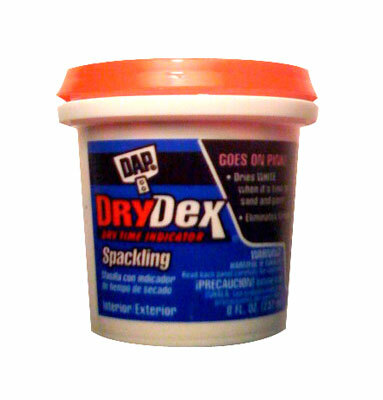 To help make this easier, I recommend using DryDex Spackling because it goes on pink and dries white when it's time to sand and paint. There is a newer type of wall anchor available to do-it-yourself'ers called EZ Anchor. 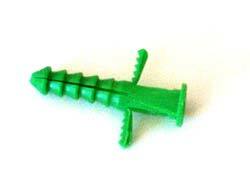 These wall anchors come in a variety of sizes and screw directly into the wall. This is a time-saving benefit for both installing and removing because when you need to remove the anchor, you can simply un-screw it from the wall and patch. You can pick up EZ Anchors at your local home center. If you have questions about your DIY projects, just ask your personal DIY consultant. I'm here to help you succeed with speed. [..YouTube..] That’s exactly what I needed to know! Thanks for the tip! [..YouTube..] Good tip, I was staring at 20 plugs and scratching my head but this worked excellent!Thanks eh! [..YouTube..] thanks a lot, very helpful & informative. [..YouTube..] You’re welcome. If you ever have questions about your DIY projects, let me know.Bye the way, nice pickin Michael.Take care and keep on playing. [..YouTube..] Thanks! Glad I could help you out. [..YouTube..] thanks! just bought a house and these things are all over the place. Perfect tip will help make painting this place so much easier. [..YouTube..] Worked like a charm! Thanks! [..YouTube..] How do you handle if the anchor is metal? Really, we feel frustration when we want remove some­thing hanging on the wall. Here, you have given good suggestion to this problem. Let me try this. Thanks for the useful information. [..YouTube..] @diyanswers Hello. I created an account on youtube, then navigated back to this video just to say thanks for this. It’s informative and to the point. [..YouTube..] I wasn’t looking for this particular video but found it useful. Neat trick brother man. [..YouTube..] SO HELPFUL!! Thank you!! 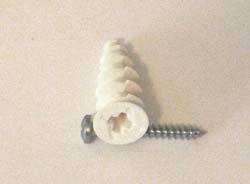 Nice tip shared by you to remove wall anchors and in fixing the the hole that left after removal. I am glad i visited here and learn the skill of removing wall anchors. Thank you for the post. I’ve searched the web and your answer was the best. I removed the wall anchor, spackled, sanded, and painted. Is it okay to put a nail in the same place where I had previously repaired the area from the plastic wall anchor. My picture frame is much lighter than the mirror that needed the anchor. Is this okay or should I try and put the nail elsewhere. That whole from the anchor was the best place for hanging something on the wall.